If you were to tell me a year ago that my favorite game this month would be a kid’s game about plastic monkeys catapulting rubber coconuts that look kind of like poop, I would have said you were crazy. Coconuts, designed by Walter Schneider and brought to the US by Mayday Games, was introduced to me a few months ago by a friend who got a Kickstarter copy. In my elitist Euro-gamer way, I rolled my eyes at the thought of playing the game. I figured I’d play for a minute or two and then we could move on to some “real” games. An hour later, we were giddily on our fifth game of Coconuts with no signs of slowing down. It was a great reminder to me that the whole point of playing games is to have FUN. I have a lot of fun playing games with lots of thought and planning, just like I have fun with some lighter card games or large-group social games or a few games with direct conflict. There isn’t just one type of fun. And now I know that catapulting coconuts into cups is a LOT of fun. 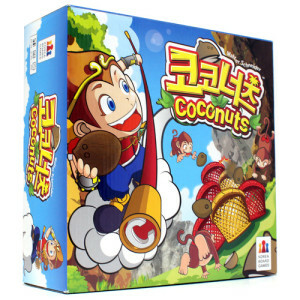 Gameplay is very simple: Each player has a plastic monkey, 8 rubber coconuts, and a player mat. 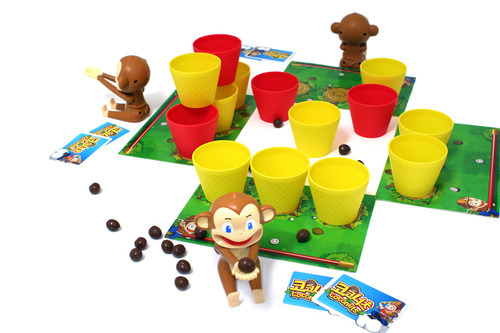 Plastic cups are set up in the middle of the table, and on your turn you use your monkey to try to catapult 1 coconut into a cup. If you hit a cup, you move the cup to your player mat (the coconut stays in the cup). Play continues around the table until someone has gained a total of 6 cups (stacked like a pyramid on their player mat) or there are no coconuts left on the table, in which case the player with the most coconuts in their cups wins. No runaway leader. Any cup on the table is eligible for you to hit with your coconuts, including cups earned by other players. Thus if someone pulls ahead, other players see that and can target that player until a new leader emerges, then attention shifts to them. In most games I’ve played, each player takes the lead at some point in the game. Built-in catch-up mechanism. Most of the cups in Coconuts are yellow, but a few of them are red. If you hit a red cup, you immediately get another shot. Thus even if you fall behind, you can catch up in one turn by stringing together a few shots. This also adds some healthy tension to the game, as you never know when someone will pull a victory out of nothing. Good mix of skill and luck. A skilled player has a greater chance of hitting the cups than a novice player, but–and this is perhaps the true genius of Coconuts–the coconut tokens themselves are oblong and rubber. You might line up a shot perfectly, but the coconut will go a little bit to the side, or it’ll even hit the bottom of a cup and bounce out. Conversely, a novice player might get lucky on a shot they completely miss when the coconut bounces off the table and into a cup. This balance makes you want to keep playing because you want to get better, and it also makes the game really welcoming to new players. Coconuts also includes cards with special abilities, but I’ve never played with them, and other reviewers recommend against it. From a game design perspective, if I could change one thing about Coconuts, I would include a few more cups with special abilities. A blue cup, perhaps, that can’t be stolen once you you gain it from the middle. Or a green cup that has to be hit several times before you can earn it. And so on. 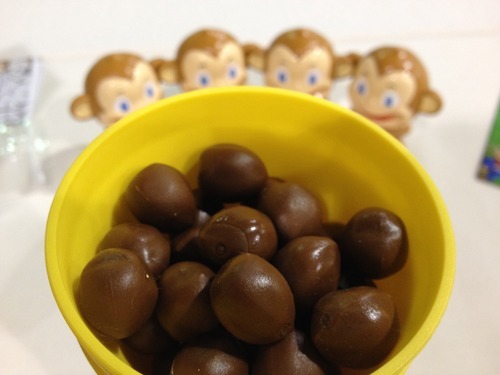 Overall, though, if you see Coconuts at a convention this summer, I highly recommend you give it a try. 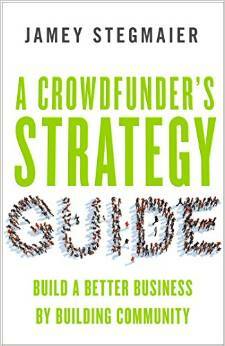 Or go ahead and pick up a copy now. It has become our go-to warm up game at game nights, and we’re never able to stop at just one game. 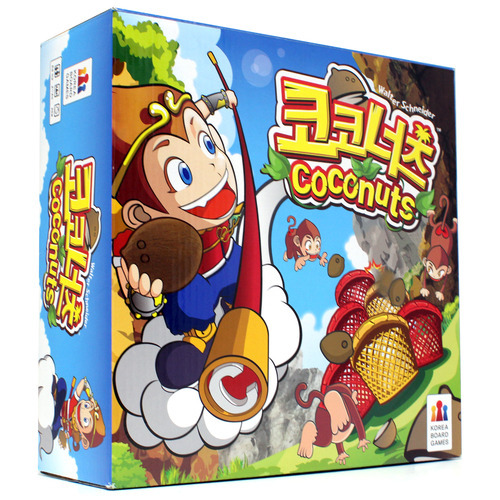 We’ve even combined multiple copies for Mega Coconuts (up to 8 players instead of just 4 for one copy). We were also surprised at how much fun we had with Coconuts. Half of our gaming group has already bought a copy. I may need to pick this one up. Sounds like a great game to start the night off when my daughter has a friend over who’s family doesn’t play games.